I’ve moved my blog to a new blogging platform. 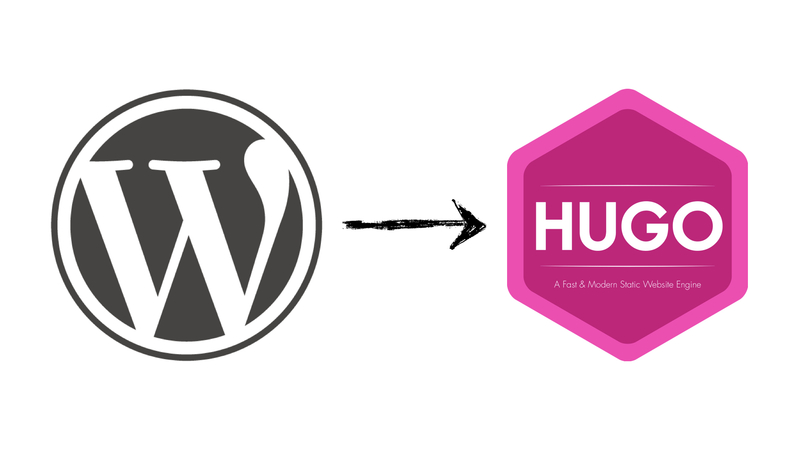 This time from Wordpress.com to Hugo. I took some notes about various parts of this migration. I wrote some of my thoughts on why I made the switch, ideas, improvements for the design and custom tooling for my editing workflow. Wordpress.com is a dynamic hosted platform. That means that each blog post is dynamically generated. This is has its own advantages and disadvantages (not going into it). Hugo is a static site generator written in Go. Albeit it’s not that important which language it’s written in, in case of Hugo it makes some differences. In my case I like that Hugo can be compiled in a single binary and I can use it without fiddling with Ruby, Python, Node.js, etc.. dependencies. Another benefit for me is that I can locally preview my blog without any internet connection. Lack of customization. After a while, the internal CSS Customization wasn’t enough for me. I wanted to add more, change the HTML layout and many more things. Unless I would upgrade to the upper business plan (I’m on the premium plan), I wasn’t allowed to do it. So in general, I’ve started using Wordpress for its simplicity and the fact that I didn’t had to maintain it. 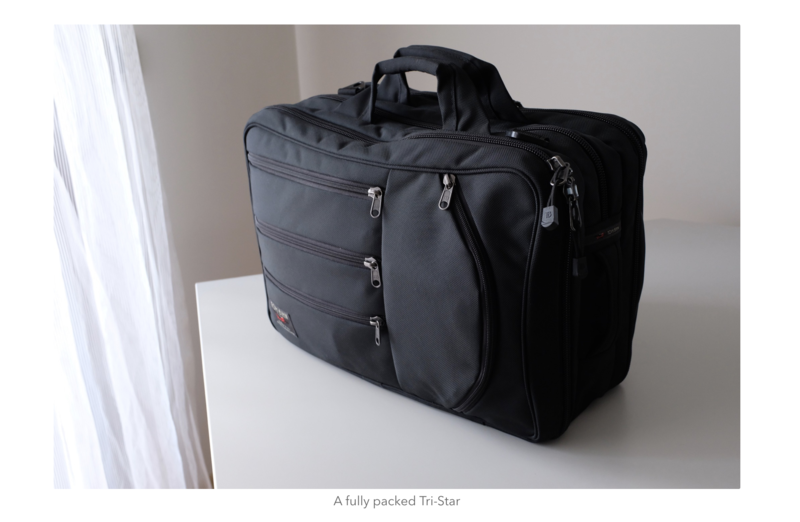 However this simplicity also put a constraint on me which started to become a burden. What is the point of using it if I can’t use it in a meaningful way? I decided that it was time to move on. Because I was using Wordpress.com (a paid hosted service from Automattic), I didn’t had any access to the raw data (MySQL). This means, I had to export my blog posts in a XML file. This XML contains the blog posts with all additional metadata, such as tags, categories, etc.. This can be done easily from the settings. Transforming the XML file to Jekyll directory and then use Hugo’s Jekyll importer to create a new Hugo blog from scratch (via exitwp). The first option would take a lot of time and knowledge, It wasn’t worth it. At the time I was migrating, I didn’t know the second option (learned it later). So I’ve chose the third option. exitwp is written in Python and works by adding your exported xml file in a wordpress-xml directory and running python exitwp.py command. This produces a Jekyll compatible folder named build. For this, I’ve created a very hacky Go script that would iterate over all markdown files, check for images, download them and also parse the Wordpress syntax and convert it to custom Hugo shortcode. Having said that, even with this script, it didn’t work 100% perfectly (said it was hacky) and I had to manually intervene. This process took some time until I’ve cleaned up all my blog posts. Also note that the image downloading part is not available (not sure why not, I must have deleted). But it’s fairly easy to add it. All you have is to do a http.Get() request on the url variable and then use io.Copy to copy the resp.Body into a file. So you basically copy and write the response byte by byte to a file. Netlify just works. My site was up in minutes and I couldn’t believe how simple it was. Now I understand why people like them so much. In the core Netlify works by setting up a webhook into your Github repo and then listens to pushes/PR’s. Once it detects a change, it goes and builds your site. You tell Netlify which command to use when it detects a change in the repo (Pull request or a push/merge to a specific branch). I’ve set it up that it uses hugo as the build command. and public as the output directory of the build command (i.e: our static pages). Netlify then uses this command to build the pages and then starts serving them from the custom domain you setup. It has many other features that I won’t to go in, just check it out. One problem I have with them is their pricing strategy. All this awesomeness is free (how can this be a problem?). I strongly believe a valuable product should charge people instead of relying on VC money. I really like it and can see myself giving them $5-10 monthly. But their next pricing tier from the free plan is $45. I’m not sure what they want to achieve with this strategy. I’ve configured my Hugo’s baseURL setting to "/" in the configuration file (config.toml). This allows all URL’s on localhost to resolve to the correct page. If I would set it to "https://arslan.io all URL’s would resolve to my actual website, which would break all local links. For example, on the homepage I might a have a link to http://arslan.io/2017/11/23/blue-bottle-in-japan/ but on localhost this needs to be resolve to localhost:1313/2017/11/23/blue-bottle-in-japan/. Here localhost:1313 is served when when you run hugo server which builds all the pages and then start serving it on your localhost. Going back to Netlify. It has something called “Deploy Previews”. These are previews of your latest site build which you can see before pushing to production (merging/pushing the change to master). These have unique domain names, such as: https://deploy-preview-2–jonny-brown-0c9f53.netlify.com. This is excellent because you can visit it and then check your website before publishing to production. title = "Blue Bottle in Japan"
description = "For a while, I knew Blue Bottle was interested to invest into Japan. Their CEO James Freeman was inspired from a small Kissaten (old Japanese Coffee shop) when he opened his first Blue Bottle Coffee shop"
I use Twitter a lot. Because of this I want my links that I share on Twitter originating from https://arslan.io to be shown beautifully. Twitter parses the <head> of each link for certain keywords. If you provide the necessary meta tags, Twitter makes sure to display your link in a more visual way. Twitter provides a great card validator that I’ve used to validate the various twitter cards. However this is not customizable. That’s why I’ve copy pasted and suited it for my needs. 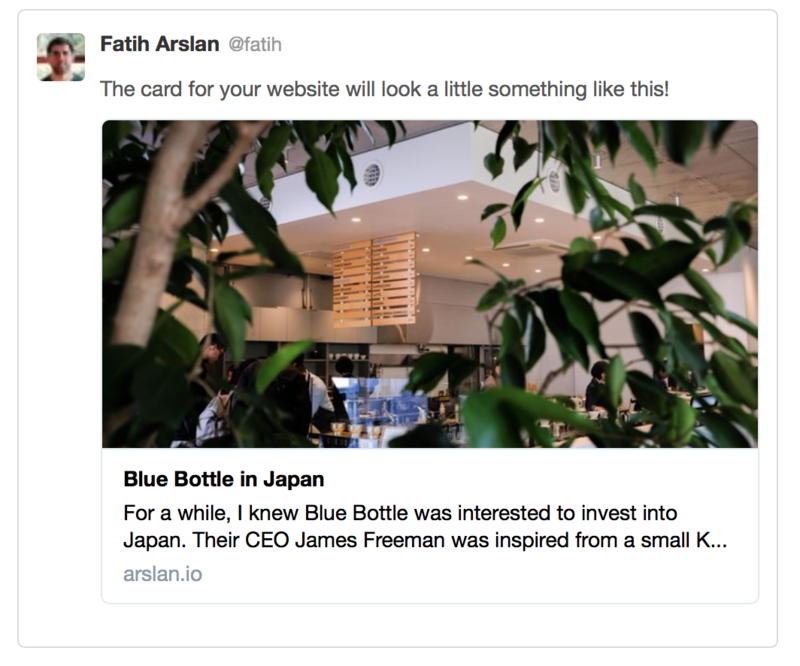 For example I’m using the .Params.featured_image field for my Twitter cards. Hugo prepends a custom data format to the blog post itself, called the front matter. It includes metadata that describes the blog post with various kinds of informations, such as Title, Slug, Featured Image, Tags, etc.. A bare markdown post doesn’t have this. I’m using Vim or Ulysess to write my blog posts. Lately I’ve decided to use Ulysses for writing blogs more as I like the functionality and UX it provides. However, Ulysses doesn’t understand what a shortcode or a front matter is. The tool is idempotent. So you can run it multiple times and it’ll try it bests to update the existing file. If no file exists it tries to update it. If anyone is interested here is the Gist link to it. I never liked showing small excerpts of articles in RSS feeds. Currently Hugo is configured to show only a summary. I need to change my feed settings so it shows the full content. Better commenting platform. Disqus is not minimal for my needs. Something more lighter that fits the design of this site would be better. If you made it until here, let me know how you use Hugo yourself. Feel free to share any feedback or tips/tricks you think are valuable. Thanks for reading.